Shizen is a relatively new ALL VEGAN restaurant in San Francisco. It opened in January of 2015 and is amazing! Shinzen is a fully vegan sushi bar and izakaya. Shizen combines classic shojin and sushi techniques with local, seasonal ingredients to create healthy and flavorful dishes with a light footprint. Some of the most notable dishes include nigiri, specialty rolls, ramen, and robata items. They use mountain yam, konjac, soybean curd, and other vegan ingredients to replace conventional proteins throughout the menu. 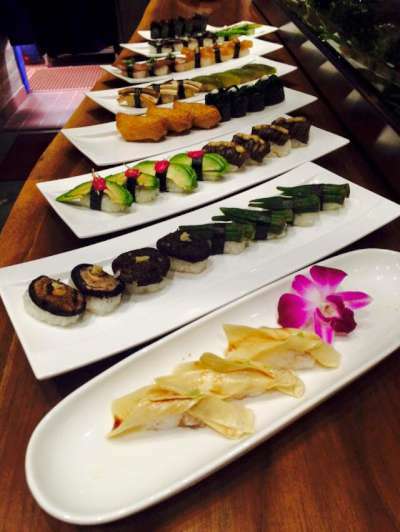 Let us know what you think about this awesome vegan friendly restaurant: Shizen Vegan Sushi Bar and Izakaya in San Francisco, California.